The flight to municipal bonds is fueling the strongest muni market inflows in at least 13 years and is drawing investors from some unexpected places. Net inflows into muni funds reached more than $15 billion during the first eight weeks of 2019, the strongest start to a year since 2006. Available reports don’t break out purchases of individual bonds – our preferred choice for most investors – but they generally parallel upticks in funds. While interest in munis was expected from residents in higher-tax states such as New York, California and New Jersey, investors from other states are flocking to them, too. Further, one mutual fund manager reported positive net inflows so far this year in 16 of 17 state-specific municipal mutual funds. For example, residents of Minnesota, which has the fourth-highest state income tax rate in the country, are ramping up their muni holdings, according to Bloomberg. Minnesota state open-end and exchange-traded municipal funds drew in $90 million in January and February, more than four times the amount vs. the same period last year, Bloomberg said. After the new tax law signed at the end of 2017 capped deductions on property taxes and state and local income taxes at $10,000, it didn’t take a crystal ball to predict a surge in investor demand. Nor did it require extraordinary insight to reject the theory that corporations would wreak havoc on the muni market after another provision of the tax law slashed corporate rates, prompting them to flee the market in search of higher returns. Common sense took a backseat on that call and the muni market is thriving. 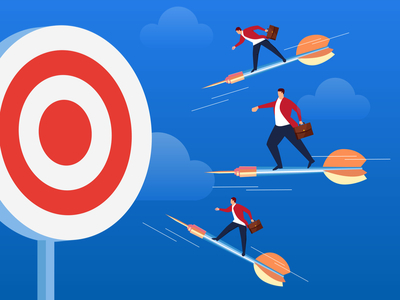 Looking forward, many analysts predict the ardor for tax-free income will continue to grow as the tax season progresses and taxpayers see the full impact of the limits on their deductions. And to those wishing away the deductions? Don’t count on it. Though some in Congress are pushing to repeal or increase the cap, reports say the chances of alterations anytime soon are slim. While the rate of muni market inflows is dramatic, it’s not surprising. Nothing has dimmed the simple, underlying, appeal of municipal bonds for individual investors. The vast majority are performing as promised, fulfilling their intended role in investors’ portfolios.